The music you hear in the background is Orange Blossom Special. I wish I could tell you where I found this file so I could tell you to go to the site, but I just don't remember. This is a GREAT piece of music for young students to hear for several reasons. 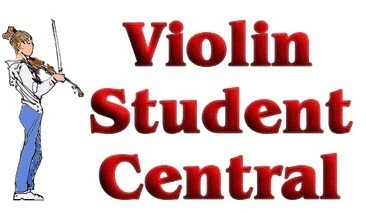 First, it places the violin in a more informal setting than most kids hear it in. 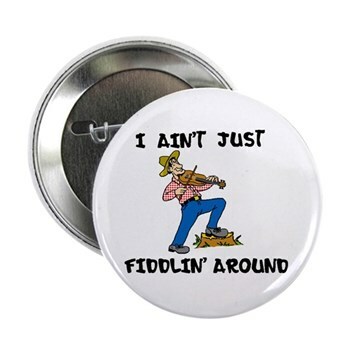 Bluegrass, country, jazz, anything other than the classical violin most kids hear is a great help in letting students know that the violin is a great instrument, not just one for (as my daughter once said) "grey haired men" . . . or whatever the current derisive term is for those who just aren't "cool." Rollin' down the seaboard line. Listen to the violin imitate the train! It is absolutely essential to the song! Today, take a moment to see what kinds of interesting sounds you can make on your violin! By the way, click HERE to see a picture of the actual Orange Blossom Special train in 1938. And Click Here to See an Interesting Orange Blossom Special page. Third Time's a Charm! Play the Three Game. Some Short, Fun Violin Pages on Squidoo!